It doesn’t matter if it’s Friday or Monday. Still going to the gym. Have an awesome Friday workout and make sure you push hard to get those gains! Like this Friday gym quote? Then make sure you share it with someone! This “It doesn’t matter if it’s Friday or Monday. 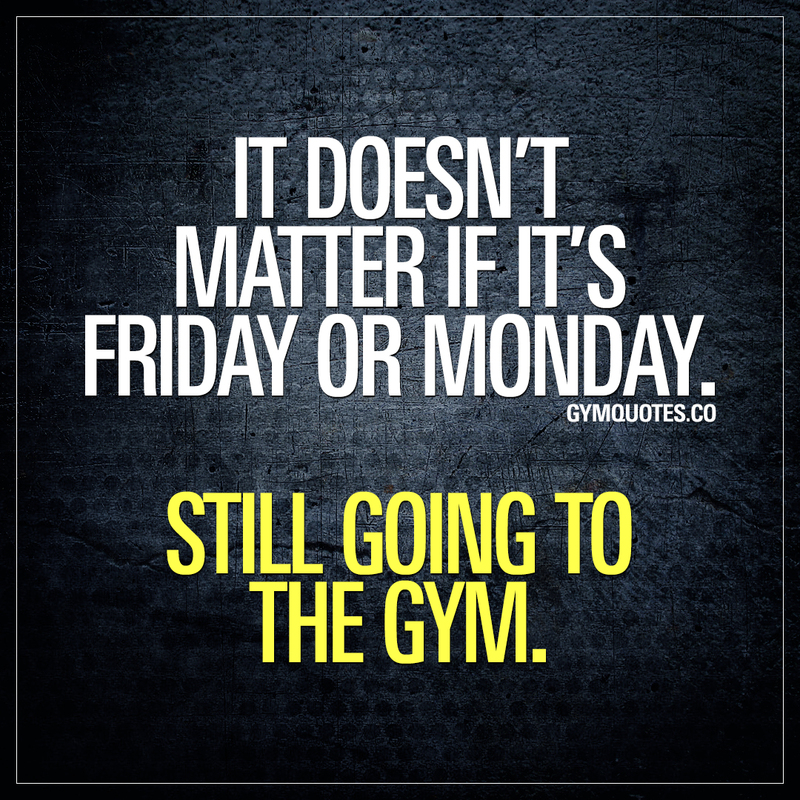 Still going to the gym.” quote (image and text) is copyright © Gym Quotes 2019.